Zangids of Sinjar. 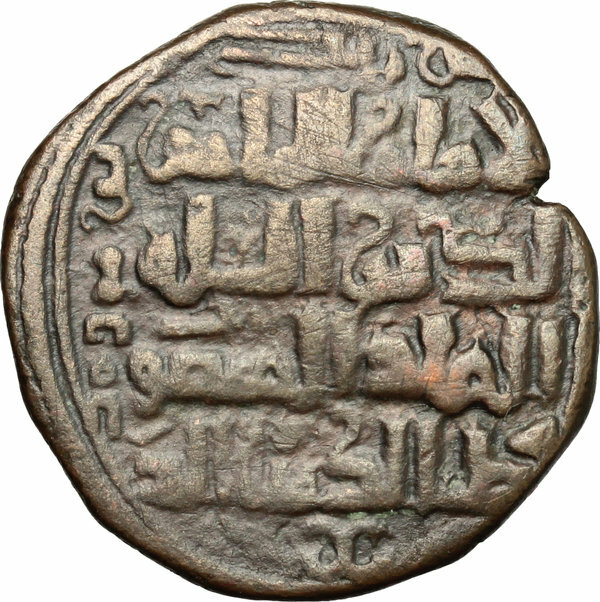 Qubt al-Din Muhammad (594-616 H / 1197-1219 AD). 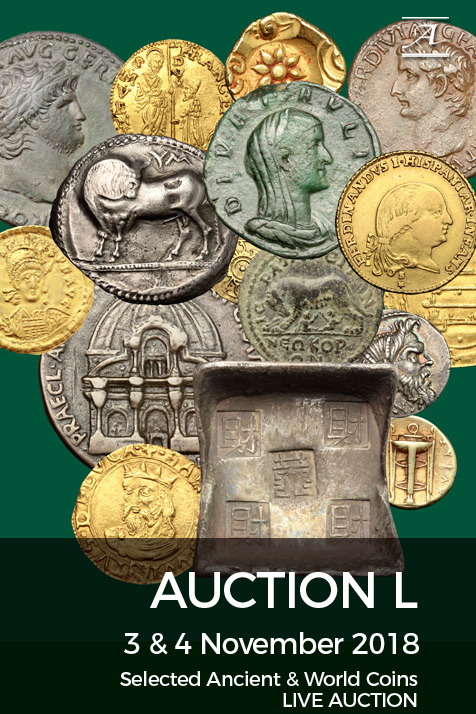 AE Dirham, 596-600 H, Sinjar . 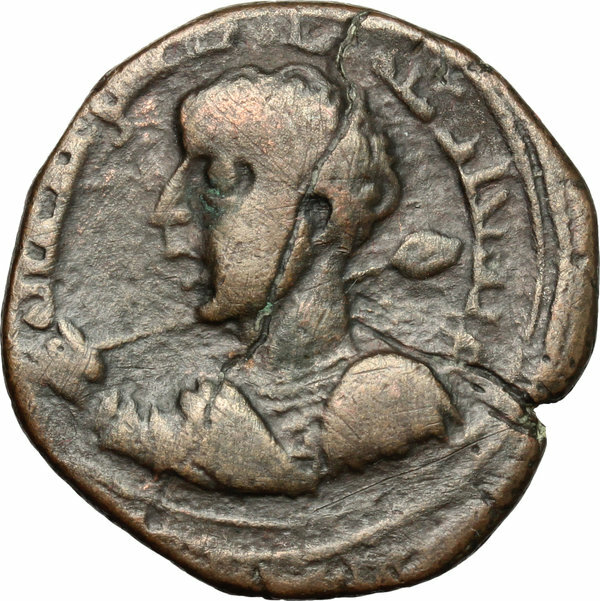 D/ Bareheaded, draped, and cuirassed Roman-style bust left, holding spear over shoulder, and shield; Zangid tamgha to left, mint formula and H date in outer margin. R/ Names and titles of Abbasid Caliph and Qutb al-Din Muhammad in four lines and margins; Zangid tamgha in exergue. S. & S. 81. Album 1880. AE. g. 10.76 mm. 27.00 VF.